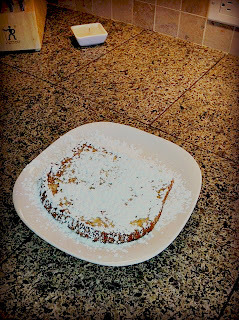 I have fond memories of my mom's traditional french toast, soaked in eggs and milk, with melted butter and generous powdered sugar on top. I wanted to be able to make something similar for my kids. 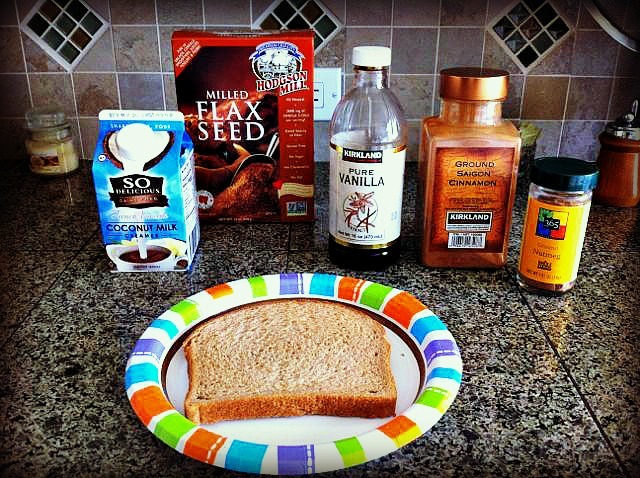 But, for my daughter who has dairy and egg allergies, it hasn't been so easy - until I discovered the fabulous vegan 'egg'! 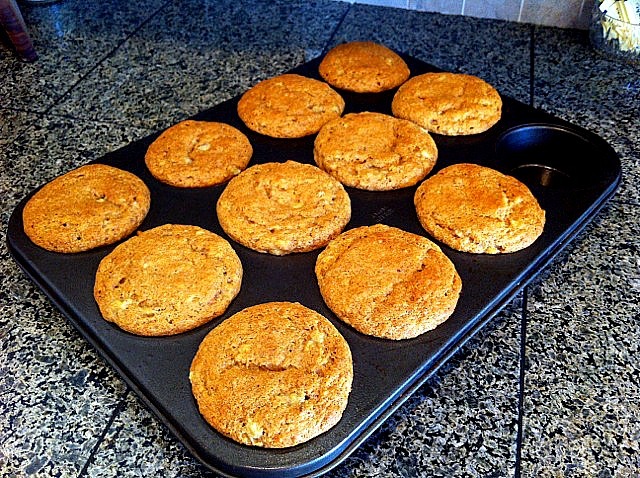 The flax mixture provides both moisture and nutritious fats. 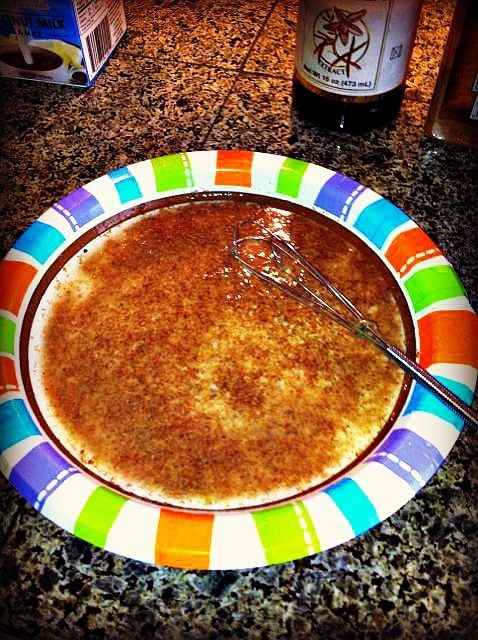 The only other change I made to my traditional recipe was to substitute coconut creamer for half-and-half. The results are delicious! Once both sides are done, remove the toast from the griddle and apply a generous amount of butter (we use Smart Balance light, which has no dairy). Sprinkle generously with powdered sugar. In my opinion, french toast is not complete unless the butter and powdered sugar form a nice frosting! 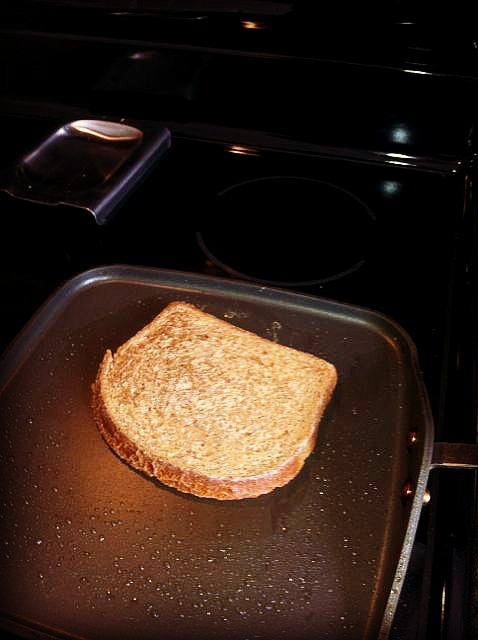 First, heat up your pan/griddle on medium heat. 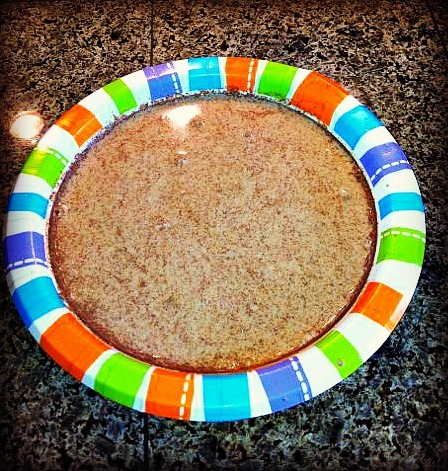 On a paper plate, mix your vegan egg (1 T ground flax + 3 T water) and let sit until thickened and gooey. Add the remaining ingredients and mix well. 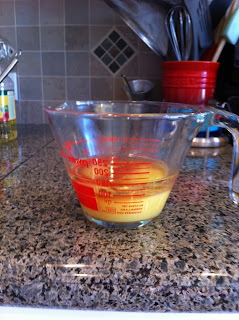 Dip the bread in the mixture, and flip it over to coat the other side. Once the bread has soaked up a good amount of the mixture, place it on a hot, oiled pan/griddle. Let it cook for about 4-5 minutes on each side. Butter well, and add some generous powdered sugar. 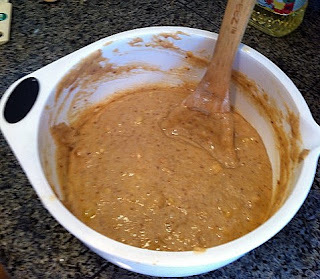 The flour mixture and liquid mixture were added to the banana mixture in an alternating fashion, beginning and ending with the flour. 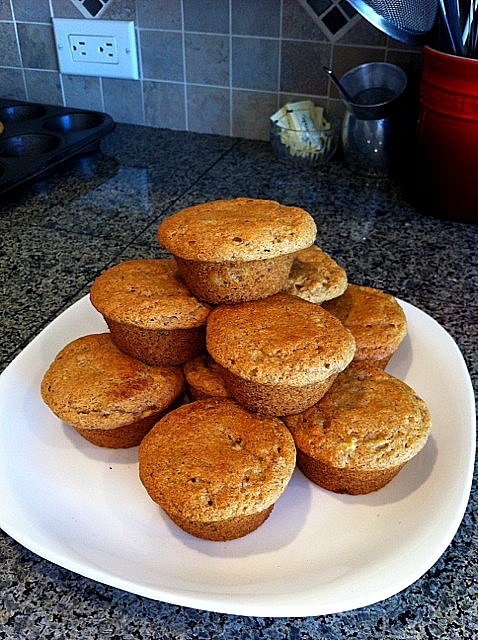 I then filled up each cup (except for one) in the prepared muffin tin and baked them at 350 for about 20 minutes. Easy peasy. 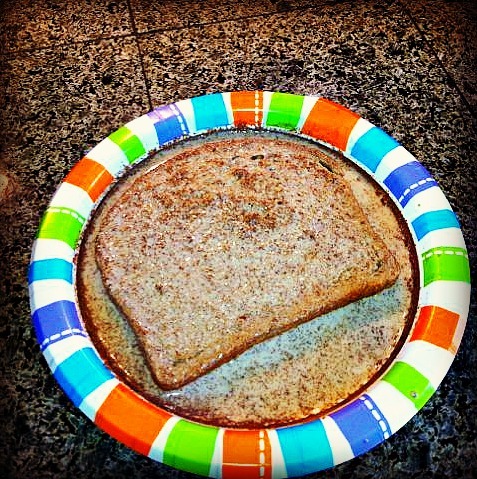 The finished product - so golden and yummy! 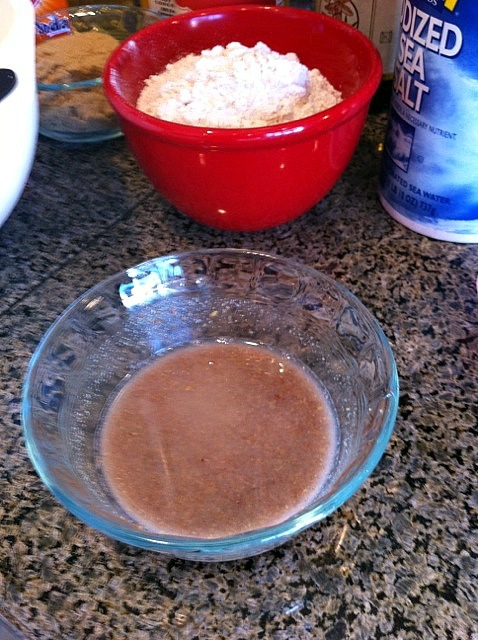 Mix together the flax and water and let sit until gooey. In the meantime, mash up the bananas in a medium bowl. 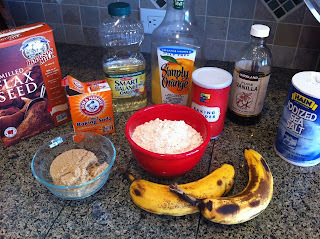 Add the brown sugar to the bananas and pour in the flax mixture. Mix well. In a small bowl, stir together all the rest of the dry ingredients. Combine the orange juice and oil in a liquid measuring cup. 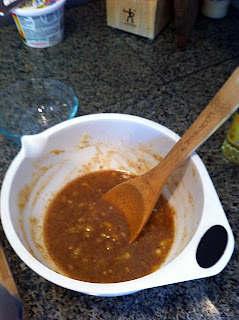 Add the dry and wet ingredients to the banana mixture in an alternating fashion, beginning and ending with the dry ingredients. 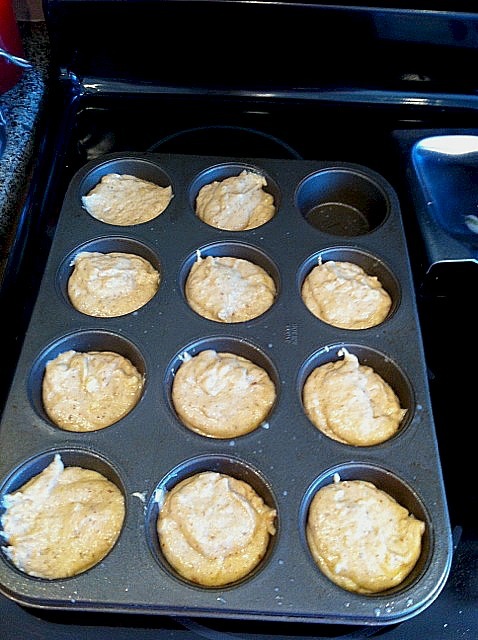 Fill the muffin cups with the batter, almost to the top. 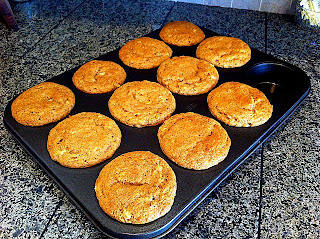 Bake for 20 minutes, or until the muffins are beginning to brown and spring back when you touch the top. Makes 11-12 muffins (depending on how much batter you eat).